When Lincoln was assassinated did John Wilkes Booth's bullet eviscerate black reparations? Today 152 years ago President Abraham Lincoln was shot by John Wilkes Booth while attending a play at the Ford's Theater in Washington, DC. He died of that gunshot wound on April 15, 1865, a private home across the street from Ford's Theatre. 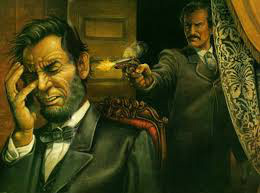 Lincoln never awoke nor spoke a single word after that shot was fired that night at the theater. Secretary of War Stanton's words was historically noted upon Lincoln's death, "now he belongs to the ages". My questions for today, Palm Sunday is considering Lincoln's age at the time of his assassination 57 and the fact that the US Constitution had specific no term limits for how long the President could serve. Imagine for just a moment many terms could Lincoln have served had he not been murdered? At the time of his death, Lincoln was riding a wave of extremely high northern republican approval. What if the John Wilkes Booth murder conspiracy had killed Andrew Johnson one of the targets that fateful Friday in American history. What if George Atzerodt had carried out the plot to kill Johnson rather than wandering around Washington DC in a drunken stupor? What if John Wilkes Booth hadn't been able to given that clear path to the Presidential Booth at Ford's Theatre. How different would the historical pathway to reparations for the recently freed slaves have been had Lincoln been in command of the Reconstruction policies? One thing is sure the former confederates certainly didn't turn out to be disappointed that Andrew Johnson's life was spared. Johnson turned out to the major impediment to freed slaves receiving any land grant reparations. Frederick Douglass, in 1876, 11 years after the murder of Lincoln told an audience that including the entire Cabinet, Supreme Court justices, significant members of the House and the US Senate along with President Grant at the unveiling of the Monument For Emancipation that Lincoln was "white man's president" and those words shook that audience fiber. Yet Douglass wasn't telling a lie in that Lincoln did all he could to salvage the Union and to dissuade the Confederacy from war. Yet as the Civil War continued Lincoln understood that slavery couldn't exist in the United States. Also, although Lincoln had compassion for the rebels Lincoln also didn't have any love for the massive loss of life that those rebels were responsible for. I doubt very seriously he would have been so gracious in returning the land to the plantation barons as Johnson was. As a matter of fact, Field Order #15 which guaranteed a 40-acre plot of land and an army mule would have been implemented by Lincoln since he had already signed off on General Sherman's mandate. The bullet that pierced the skull of Lincoln all but ended any chance of black reparations for the freed slaves. 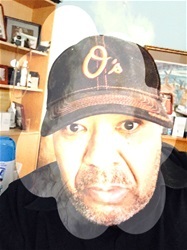 You have to have thought that Lincoln would've kept his promise of providing the slaves recently freed of resources necessary for competing in this country, land, and resources to till the land? Knowing how essential Southern Reconstruction was to the future growth of the country. Lincoln's support in both houses of Congress wouldn't have necessitated any movement towards impeachment. Andrew Johnson actions were in direct opposition to the plans that were discussed by the leading Republican Charles Sumner to ensure protection for the freed slaves. Would it have taken 3 years to pass the 14th Amendment? Would it have taken 5 years to pass the 15th Amendment? Andrew Johnson had absolutely no love or connection to Black Reconstruction policies that engendered political power or economic progress. Lincoln had moved away from an emigration policy that would have forced freed slaves to migrate to foreign shores. The Recolonization Plan that Lincoln had proposed to those ministers he met during the Civil War was no longer part and parcel of Lincoln's Black Reconstruction Policy. So for Lincoln distribution of southern lands along with western expansion for freed blacks must have been his priority. So in terms of land reparations distribution, Booth's bullet definitely speared and destroyed that hope. Personally had Lincoln lived he most likely would have won re-election at least in 1868. Quite possibly at the age of 67, Lincoln would have turned over the reigns of leadership to Grant in 1872. The nation would have been much better prepared to face those former Confederates who opposed Reconstruction. Because of the growing black populace having a more secure hold on economic and political power in those states. You can be sure the Lost Cause Movement would have been challenged by Lincoln because he understood the magnitude of loss of human lives those Confederates were responsible for. I also feel that the Reconstruction of the United States would've lasted more than the 12 years. Andrew Johnson had absolutely no intention of doing anything substantive to boost the support of Reconstruction. Certainly had Lincoln survived the assassination attempt of April 14, 1865, Andrew Johnson surely wouldn't have been on Lincoln's ticket in 1868. Could the corruptive elements of Grant's presidency been avoided had Lincoln lived? The bullet that pierced Lincoln's skull that fateful Friday sealed the fate of black reparations. Since that day 154 years ago today reparations have been paid to numerous ethnic groups for damages done by the peoples of the United States but the most inflictive, degrading, murderous damage has been done to Americans of African Descent. John Wilkes Booth not knowing the power of the bullet seemingly sealed the fate that black economic reparations would never be paid.